It's hard to believe that the summer holidays are nearly upon us, but they are coming fast. Here is our round up of all the best things going on, which we will update weekly in the run up to the holidays to make sure that you know about all the best things going on. Have a great holiday. Kids Week is the theatrical highlight of the summer holidays and runs 1-31st August, making it technically much longer than a week this year. During this time any child 16 and under can go free to certain performances when accompanied by an adult paying full price. Adults can also purchase up to two extra children’s tickets at half price per transaction.There are a huge range of performances to chose from including The Tiger Who Came To Tea, Dora The Explorer, The Lion King, Horrible Histories, Matilda and Singing In The Rain. There are also lots of activities you can book to tie in with the shows. For the full programme, follow this link.Book quickly as shows are selling out fast already. We just managed to get two tickets for The Tiger Who Came To Tea - hurray! Chickenshed, a real favourite of ours has a summer programme from the Tales From The Shed team. The show is called Run, Brer Rabbit, Run and is based on the traditional stories, characters of Brer Rabbit cause mayhem when they collide with the present day London Olympics. Children’s imaginations can run wild as they follow the mischievous Brer Rabbit and his friends on their crazy adventures and cheer them on as they go for gold. Suitable for ages 0-7. 26th July - 4th August. There are also workshops for older children 6-12 to coincide with this show. Tiger Who Came To Tea is one not to miss, on at The Lyric Theatre it has had excellent reviews. Hairy MacLary at Wyllyotts Theatre, Potters Bar on 8 August only- Following a Sell-Out run at the Fringe 2010, a UK Tour in 2011 and the Christmas season at the Sydney Opera House, Hairy Maclary and his friends are springing off the page once again this summer. Featuring many of the characters from the books like Hercules Morse, as big as a Horse - Bottomley Potts, covered in spots – Schnitzel von Krumm, with the very low tum and Scarface Claw – the toughest tomcat in town. With music, singing and several of your favourite Hairy Maclary stories, this show is a must for the whole family. 55 minutes plus free craft activity at the end. Angelina Ballerina The Mousical comes to St Albans Arena 24th -26th August - Everyone’s favourite little star, Angelina Ballerina, pirouettes onto the stage in her brand new musical – a magical show packed full of singing and dancing. Matilda is another show that has had rave reviews and is on at The Cambridge Theatre. The Lion, The Witch and The Wardrobe is on stage until September in a purpose built 360 degree theatre tent in Kensington Gardens. The Go!Go!Go! Show is a fun musical sing-a-long, dance-a-long and laugh-a-long experience. Your kids will have a ball helping their five new friends solve the mystery of the missing socks. The mischievous Fluffalope and the permanently confused Mr Baffled are on hand to “help”. Dora The Explorer is also coming to London this summer to entertain little ones with a live show at The Apollo Theatre - In Nickelodeon’s Dora the Explorer LIVE! Search for the City of Lost Toys, Dora has lost her teddy bear Osito, and the search is on to retrieve him! 28 August - 16 September. South Bank Centre has lots of great children's theatre running through the summer including the excellent Handa's Surprise which we saw at Arts Depot last year, suitable for 2-5s and The Bee Detective, suitable for ages 6+. Geffrye Museum, Shoreditch has a whole summer of activities with the theme Inside, Outside and Around the World - Three weeks of exciting summer activities for children exploring home and garden spaces from across the globe. Become a plant hunter and learn about the international origins of different herbs, spices, flowers and plants, bake tasty treats, create your own soaps and take a closer look at mini beasts in the gardens. Do check out the activities as there is a really fantastic range. Some need to be book in advance and some are drop-in. Full listings here. Museum of Childhood, Bethnal Green has absolutely loads on all holiday including Summer Games all of August - test your endurance, try for a personal best, or have a go at traditional outdoor games and fun, simple outdoor family activities. Free and drop in. 11am - 4pm. There is also a summer festival on 29th July and puppet making fun with Little Angel Theatre on Fridays throughout August. See the full list of activities here. The British Museum has some excellent Shakespeare In The Summer events - Come along and make your own contribution to a suitably Shakespearean artwork, then listen to some unusual versions of stories from the Bard’s plays. Suitable for all ages, free and drop in. Various dates. RAF Museum Hendon has a series of themed weeks running throughout the holidays including: Wild Bird Week, Land Army Week and Airfix Fortnight. See more details here. Cartoon Museum in Covent Garden has great events for older children running throughout the summer including Make a Superhero/heroine Poster, Manga Storytelling and lots more. Canal Museum, Islington has family fun days and boat trips running throughout August. Find out more here. St Albans Museum and Verulamium Museum have great family events running throughout the holidays. You can make your own gladiator, hear the story of Goldilocks and make a bear and much more. See the full timetable here. need to book. Children must be accompanied by an adult. 2-4pm. Experiencing London 2012 is not just about the sport- and this is where I think the really exciting opportunities and experiences are likely to be. The London 2012 Festival is taking place between 21 June to 9 September 2012, with 12,000 events and performances across the UK encompassing comedy, dance, theatre, film and art. The festival is the culmination of the Cultural Olympiad-the 4 year festival of culture which has existed somewhat under the radar. This promises to be the biggest party the UK has ever seen, with a huge range of events from leading artists from all over the world. Jewish Museum, Camden has a number of family events including Musical Mornings on 25th July and Messy Play on 9th August. Foundling Museum has some free workshops running for children aged 3-12 on 7 July and 14 August. Royal Academy of Arts has sume summer exhibition family workshops to tie in with their showcase of the best artists currently exhibiting. Booking is required, for 5+. 20,25,27 July and 1,3 August. Sir John Soane's Museum has a wide range of great workshops for 7+. See here for full details.Some highlights are Grow Your Own City on 8 August and Building Olympics on 30,31 August. Victoria and Albert Museum has lots of fun things for children of all ages and most events are free. See here for full timetable. Some highlights are the Pop-Up Performances suitable for 7+ on 14,21,28 July and 11, 18, 25 August and the Art and Craft Workshops for 5+ on 14,15,22 and 29 August. Both free. London Live, Victoria Park - want to watch the olympics in the comfort of lovely Victoria Park? Only if the sun shines obviously. Victoria Park will show the best of the Olympic Games on two giant screens. The Have-A-Go Sports Zone will offer a range of professional Olympic and Paralympic sports participation and coaching experiences. 27 July - 12 August. Ping!London brings table tennis tables to locations all across London. You can search the site to find one near you. North London Athletics Network is running Quadkids - A fun and exciting event for all children age 5 to 12 years. All abilities are welcome. Cost £2 per child. No need to book in advance - turn up from 9 to 9.25 to register and collect a number. Wear trainers/shorts. All children complete a 75m sprint, 2 long jumps, 2 throws with a vortex spongy rocket and a 600m race. All events are timed, measured and recorded and everyone is awarded a Quadkid certificate. The aim is to encourage the children to gain confidence and improve from one Quadkid event to another. 25th August 2012. £2 per child. Green Peas is running ART PICNICS 4 KIDS! OUTDOORS ART EVENTS FOR CHILDREN OF AGE 2-12 Weekly in August 2012 in Highgate and Muswell Hill! Join ‘Green Peas’ for a fabulous creative play outdoors! Bring your picnic and enjoy splashing paint, crafting and getting messy in stunning North Bank Gardens and Waterlow Park! For more info about the events and photos from the last year please visit : www.greenpeasevents.co.uk or contact Anna at info@greenpeasevents.co.uk. We reviewed Green Peas here and loved it. Camden Arts Centre has a really great selection of courses including clay and ceramics. Fine Art 4 Kids has holiday workshops running in Crouch End, Watford and St Albans. Visit website for details and booking. Creation Station is running classes in Finchley, Muswell Hill and Hampstead. We did these last summer and really enjoyed them. Cheeky Chops have summer art classes for children aged 5-11 in Woodside Park run by a trained artist. Classes run for three hours from 10am-1pm. There are lots of different and interesting classes to chose from. Email louise.froggett@hotmail.co.uk for more information. There are also art classes run by artist Billie Bacall in her studio in South End Green - an old stables with 3 large windows and good natural light. She is flexible and parents can book a day at a time. Emphasis is always on having fun and the creativity comes from that starting point.If the weather is good we go on the heath for picnic lunches and will also be sketching/painting on the heath on some days. You can call her on 07971 860 373 to get more information or email at mail@dessinparjoseph.com. Fine Art 4 Kids are running summer classes in Watford, St Albans and Highgate. Fringe Crafts in Muswell Hill have a Summer Holiday Sewing Club for children aged 7+ - designed to cover the basics of hand and machine sewing and beyond in a fun and creative way. The sessions are designed and led by Josephine Perry- an inspiring sewing teacher with a encouraging manner- perfect to help your child's creativity flourish. For more details see their website here. West Hampstead Community Centre has a really good range of art and craft classes running over the summer holidays for children aged 5-12. There are classes in oil painting, felting, printing, mosaic and more. Full details of classes are here. Perform is running Wizard of Oz themed courses across North London including Belsize Park, Pinner, Primrose Hill, St Johns Wood, St Albans, Hampstead, Highgate, Highbury and Stoke Newington. Each course is a 5 day experience. Rough Magicke run holiday courses in Whetstone and Harrow. This summer they are doing Mary Poppins. For ages 4-14. Pop Up Tales are running storytelling classes in Crouch End for babies and toddlers - enjoy your children's favourite stories brought to life with puppets, songs, parachutes and bubbles. Theatrebugs has a summer drama and music workshop 23rd-30th July at Alyth Synagogue, NW11. Kids Kitchen, Whetstone has limited availability left for some of their cooking courses for children aged 5+. Makes n Bakes run cooking classes for children aged 3+ in Stanmore. These classes are very highly recommended as children cook independently and really enjoy them. Email wilkin@afrormosia.com for more details. Luci Bloom Design is running workshops for children with the aim of teaching the about plants and friendly wildlife gardening practices. You can book your children for some of these workshops at 'Emporium Tea Room'. 4-5 Cheapside, Fortis Green, N2 9HP, tel: 07903 497 459. 7th, 14th, and 21th of August. Call Luci on 07805 179 813 or send an e-mail to: lucibloomdesign@gmail.com. Inkhead run creative writing classes for children aged 9-14 and have classes in Highgate - more details here. Poolside Manor in Finchley has a multi activity day camp running for ages 3-11 all summer long. You don't need to attend all week. Creative Wizz Kidz has an unnacompanied holiday camp for 3-9 year olds in Hampstead and Belsize Park that allows children to get creative in a fun environment. 16th July - 31st August. Holiday Academy runs a day camp in Camden with a programme of arts, drama, sports, team games and music. For ages 3-12. 16 July-24 August. Cross Keys camps run fun day camps in Hampstead that include art, drama and sport. For 3-13 years. 23 July-24 August. Poolside Manor in Finchley has swimming crash courses. Sportikids have a camp running from 24 July - 10th August at Frith Manor School. For ages 3-11 and providing a range of sport and games. London Football Academy have summer camps running at Alexandra Palace all summer long. Courses cost £95 for four days. Places are available for most weeks but some are limited. Little Superstars (www.accesstosports.org.uk/littlesuperstars) are running exciting multi-sports sessions for 3-7 year olds throughout the summer in a range of locations (Highbury, Essex Road and Stoke Newington). Sessions are suitable for boys and girls of all abilities and are a great chance to learn new sports and skills. Story Lab, the National reading challenge for 5-11 year olds, for children of all ages and abilities, is taking place at most libraries across the UK. It runs from mid July to mid September- exact start and end dates vary by borough so please check with your local library. 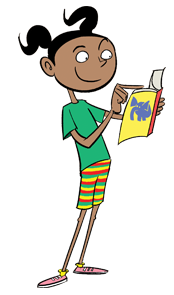 In Barnet, the Summer Reading Challenge runs from 14 July to 10 September. Register for FREE at your local library and receive your pop up 3-D starter pack. Your children can read any books they like. After every two books they'll get stickers and brilliant prizes. Finish six books for a special medal and a certificate. Those who want to carry on and read six more books can do the Mega Lab Challenge and win a free DVD loan. For online games and activities connected to the Story Lab, visit the Story Lab website. For more details about each event along with dates, times and venues in Barnet please see the events calendar. Details of what's on in Hackney libraries, including Story Lab activities, are found here. Details of what's on in Islington libraries are found here. We've also rounded up in another post, the playgroups and drop in classes running through the summer holidays in North London. These are all suitable for pre-schoolers and most are drop in. Let us know if you know of any other great events. Some places are yet to publish their summer holiday activities and we will update this in the run up to the holidays as they do, so check back soon for more ideas. No need to be bored! wow! breath and relax... lots to do! Just to let you know we have our two final workshops at the North London Music Academy next week. The Jam Week and the Music Theory Crash Course. Crash course probably aimed at older kids but even little ones can get involved in the Jam Week - all they need is a really basic knowledge on their instrument or a voice that can sing! It's all about having fun and socialising whilst creating some really good music under the guidance of our amazing teachers! We wrote a blog about it if you want some more info... http://themusicacademy.blogspot.co.uk/ Hope you enjoy! And thanks for the great website!